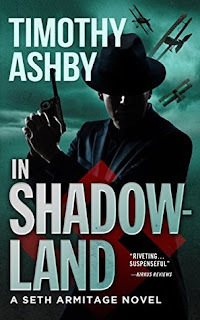 Special Agent Seth Armitage is tasked with discovering what happened to WWI pilot Quentin Roosevelt after an impostor is discovered in his grave. Someone has gone to great lengths to cover up a scandal and stop the Americans from learning the truth. The action takes place in Europe during dangerous times in the aftermath of WWI. Hitler's popularity is growing and his anti-Jewish witch-hunt is gaining impetus. The atmosphere is one of mystery, intrigue and espionage. The book references real people of the time - Teddy and Quentin Roosevelt, J. Edgar Hoover, Ernest Hemingway, Gloria Swanson and the aforementioned Adolf Hitler, to name but a few. It gives the book an extra layer of credibility and it's easy to imagine that these events could indeed have happened. All the characters are meticulously developed and each plays their role perfectly. The historical angle was hugely interesting - mixing real life with fiction is something I haven't come across very often and was extremely successful. My only disappointment was that I expected more action and a bit less dialogue but apart from that, it was a very good read. My thanks to author Timothy Ashby for providing a copy of this book. Teddy Roosevelt's son Quentin was killed in WWI. So why is another man's corpse in his grave? J. Edgar Hoover summons reluctant Special Agent Seth Armitage back to the Bureau to investigate the shocking revelation. Armitage must travel the world to probe the mystery, and quickly becomes targeted himself by powerful and ruthless forces on both sides of the Atlantic who are committed to keeping the scandal secret--at any cost. 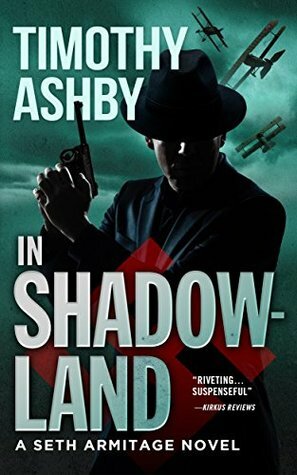 The line between enemy and ally blurs perilously as Seth becomes enmeshed with a WWI vet turned assassin with whom he shares a strange bond, a beautiful double agent with a personal agenda, and the political madmen building the Nazi party. The complex web reaches ever deeper, until Seth finds himself forced to make the terrifying choice to protect or destroy the soon-to-be Fuhrer, Adolf Hitler.